Mr Jagannathan is a successful entrepreneur who spearheads the vision of the TTK Group, a conglomerate with interests in diverse sectors such as cookware, condoms, health insurance, bio-medical devices and IT enabled services. The group is known for its reputation of trust and integrity since 1928. Under his able leadership the group aims to create a niche in the market for consumer soft and consumer durables. The TTK Group has today, become the market leader in the kitchenware segment through its flagship company TTK Prestige Ltd., and is a leading player in most other sectors it has a presence in. Mr Jagannathan has won numerous awards for business excellence including the coveted E&Y Entrepreneur of the Year Award for 2012 in the consumer category. Under his stewardship, TTK Prestige has won a host of wards such as the STAR SME of the Year Award in 2010, Super Brands Award, Retailer of the Year Award and the Indian Home Award to name a few. He also takes active interest in social and philanthropic causes through the group backed institutions such as TTK Hospital, T.T. Ranganathan Clinical Research Foundation, Addiction Research Centre, Madras Voluntary Blood Bank, Rotary-TTK Blood Bank. 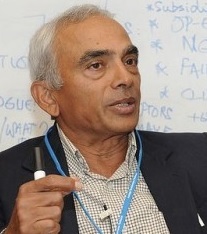 Mr Jagannathan graduated with a Bachelor's degree with distinction in Mechanical Engineering from IIT, Madras in 1970. This was followed by a Masters in Science from the prestigious Cornell University. He was presented with the Distinguished Alumnus Award by IIT, Madras in 1996. 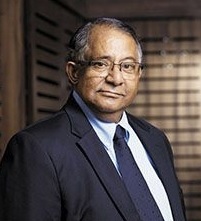 Mr Jagannathan represents a generation of Indian business leaders who are making India globally competitive. TTR is one of the partners of T T Krishnamachari and Co., the holding company of the TTK Group. After college he started his career in Bombay, in advertising. From 1981 he ran the TTK group's textile arm. He also guided the joint venture with Sara Lee’s Kiwi and Brylcreem brands. When TTK exited the Textile business he took over as Executive Vice-Chairman of TTK Healthcare, a highly diversified company in Consumer, ethical food, maps, and medical devices business at a juncture when it was a sick company. Within a period of four years, he and his dedicated team turned the company around and poised it for growth. The Company's brands are well known in the market. Woodward's Gripe Water brand is the market leader in the baby care category. The Eva range of personal care products (Talc, Deodorant, Skincare) bring together the gentle touch of nature, backed by TTK's extensive research. TTK Healthcare has an All India Sales and Distribution network for marketing not only their own products, but also the KIWI Brand (Shoecare), Brylcreem (Haircare) and Kohinoor and Durex brands (Contraceptives). The Company also specializes in sales and distribution in India as a joint venture partner. It has a successful tie up with Sara Lee Household and Bodycare Pvt. Ltd. and TTK-LIG Ltd. The Company's distribution network comprises of 2800 redistribution stockists who cover both the urban and rural consumers. Managing Director, TTK Services Pvt. Ltd.
Mr Sunder heads TTK Services Pvt. Ltd., a company focused on providing technology enabled consumer services. He has been involved in conceiving and building innovative services in the outsourcing market, leveraging technology and the consumer internet for the last 10 years. He has a keen sense of bootstrapping having steered the company through tough times, bringing it to profitability and later sustaining it. He also co-founded 'Bharatplanet' and the popular Bharatmail service in 1999 which received seed funding and later successfully merged into the TTK group. He started his career in Hospitality with Sterling Holiday Resorts in 1995 and then did a stint in the automotive sector with the Mahindra & Mahindra Group. Executive Director, TTK Services Pvt. Ltd.
Mr Prabhu has been involved with the company since its early beginning and heads the YourManInIndia (YMI) and GetFriday (GF) divisions. An astute Operations man, he is responsible for the entry of YMI into the corporate legalization business and subsequently attaining and retaining leadership position in this market. Under his leadership, the company counts 9 out of the top 10 Indian IT companies and more than 50 top companies as its clients. A hard taskmaster, he manages to maintain an excellent rapport and get the best out of employees. He has also managed to gain the unshakable trust of all his clients. He is a Mechanical Engineer with an MBA in Marketing from BSMED (Bharathiar University). 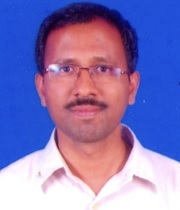 Mr Venkatesh joined the company is 2005 when its GetFriday business division had just started. He was the driving force behind the growth and consolidation of the Virtual Assistant Business expanding it to many markets globally. He is a key component of the strategic think tank and has spearheaded the technology initiatives within the company. He has to his credit, the implementation of an enterprise grade CRM system (Pivotal CRM) for the Virtual Assistant business. He is responsible for the technology and information architecture of the real estate service from the company, HomeShikari. He has a Bachelors in Maths & Drama from Cornell. Director, TTK Services Pvt. 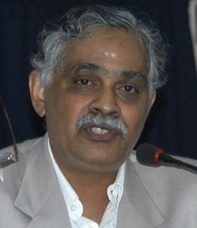 Ltd.
Mr. Vijay Vashee, a genial technocrat and a philanthropist, began his career with Microsoft Corporation in 1982. During his 19 years at Microsoft Corporation, he held various positions in marketing, program management, and general management and is credited with successfully achieving significant milestones for several key Microsoft Products. Leading the marketing and product launch efforts for Microsoft Corporation’s core applications, Vijay orchestrated the integration of PowerPoint into the Microsoft Office Suite, and guided PowerPoint’s revenue growth from $100 million to over $600 million. He also managed the growth of Microsoft Corporation Project from just $5 million in product revenue to over $100 million. At the end of Vijay’s term leading these products, both had gained #1 market share in their categories. 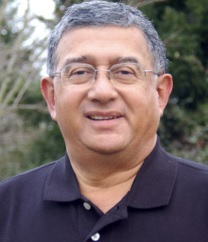 Vijay currently serves on the Board of Trustees of Fred Hutchinson Cancer Research Center and is a member of the Computing and Information Science Advisory Council, Cornell University Entrepreneurship Council and the University of Chicago Entrepreneurship Board. Vijay is closely involved with a number of start-ups and is the co-founder of the Seattle Chapter of The Indus Entrepreneurs (TiE). 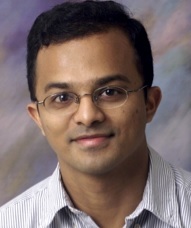 Vijay is a Cornell alumnus with a Master’s degree in electrical engineering, and an MBA from University of Chicago. He obtained his undergraduate degree from IIT, Powai. Mr Velamoor is a native of Hyderabad, Andhra Pradesh and a resident of the USA. He has served in managerial capacities at the top levels of Industrial Corporations for ever 30 years. Since 1997 he has been a Director of Programs, Trustee and Executive Director of the Foundation For the Future, a not-for-profit organization committed to increasing and diffusing knowledge pertaining to the long term future of Humanity. n this capacity, he has planned, convened and moderated dozens of workshops, conferences, seminars on a variety of subjects such as Climate Change, Future of Energy, Water and so on. He has also published numerous papers and done speaking assignments worldwide. He holds a Bachelors degree in Mechanical Engineering and Masters Degrees in Industrial Engineering and Business Administration. 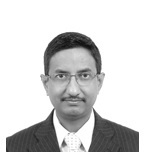 Mr. Shankaran is a qualified Cost & Management Accountant and Company Secretary. He has been the whole time Secretary of the TTK Prestige Ltd. since 1990. He has been on the Board of TTK Prestige Limited since 1993. He is in-charge of the TTK group's corporate affairs and is involved in all key decisions pertaining to the group. He plays a pivotal role as a mentor and advisor. Prior to this, he was working with Spencer & Co. In Chennai. 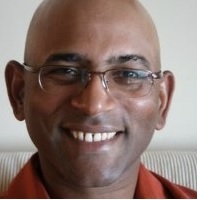 Mr Kumar Muthuraman is an associate professor with the McCombs School of Business at the University of Texas at Austin. After obtaining his doctoral degree in 2003 from Stanford University, he worked as an assistant professor of Industrial Engineering at Purdue University. In 2007, he joined the University of Texas. His research interests primary lie in quantitative finance and stochastic control. His research papers have focused on methods to evaluate various financial derivatives and to optimize financial portfolios. His publications have appeared in top journals that include Operations Research, Mathematical Finance, IIE transactions and Journal Economic Dynamics and Control. He is currently an associate editor for for IIE transactions and an area editor for Operations Research Letters. Kumar did his graduation in B.Tech from CECRI, India. This was followed by a M.S., and Ph.D from Stanford University. 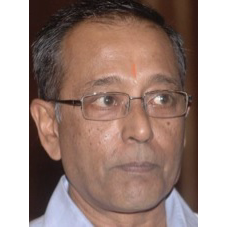 Mr Girish Rao is the Chairman & MD of Vidal Healthcare Services Pvt. Ltd, a wellness and healthcare management company. During his 27 year career, Mr Rao has spearheaded numerous domestic and international assignments across several industry sectors. In year 2000 he founded TTK Services Pvt. Ltd. with seed capital from TTK Group thus initiating the Group’s foray into service business. Later he founded Vidal Health TPA Private Limited (formerly ‘TTK Healthcare TPA Pvt. Ltd.’), in 2002 perceiving the potential of India’s emerging healthcare sector in India. He has been instrumental in building it into India’s leading TPA. Prior stints in his long career include C-level and senior positions at Nova Medical Centers, Swiss Re, Hutchinson Telecom and TTK Prestige. He serves on various government and industry association panels on healthcare initiatives including FICCI, IRDA and NCMH. He holds a bachelors degree in Mechanical Engineering and Masters in Marketing Studies from Mumbai University. 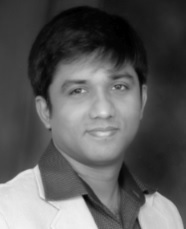 Mr Vamshidhar is a software entrepreneur with more than 20+ years of software development experience. He started his career as a software architect with Microsoft Corporation and spent 12 years there, while rising to the position of Principal Program Manager before quitting to take the entrepreneurial plunge. He also served as CEO of TTK Services for a brief period and held positions as CTO of vCustomer Corporation and Infinote. Currently, he works as the VP – Operations for ManageMySpa, a software solutions provider for spas and salons worldwide. 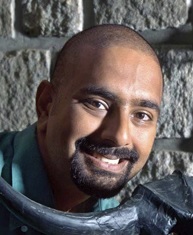 He holds a Bachelor's degree in Computer Science from IIT, Madras and a Masters in Computer Science from the University of Texas, Dallas.